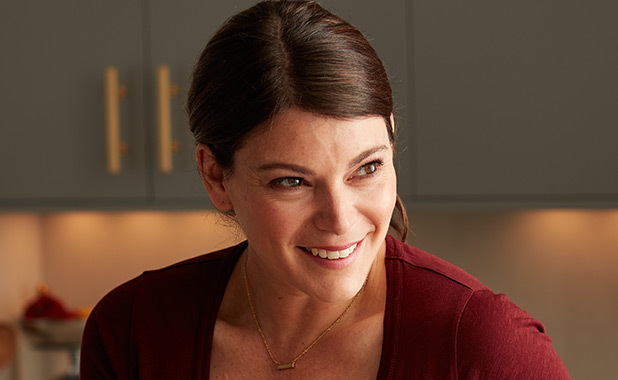 Gail Simmons is a trained culinary expert, food writer, and dynamic television personality. Since the show’s inception in 2006, she has lent her extensive expertise as a permanent judge on Bravo’s Emmy-winning series Top Chef. Heading into its 15th successful season, Top Chef is rated the No. 1 food show on cable television. Gail was previously head critic on Top Chef Masters and host of Top Chef Just Desserts, Bravo’s pastry-focused spinoff of the Top Chef franchise. She appears as a guest judge on Universal Kids’ new Top Chef Jr. and was co-host of The Feed, which aired in 2014 on FYI. Her first cookbook, Bringing It Home: Favorite Recipes from a Life of Adventurous Eating, will be released by Grand Central Publishing on October 24, 2017. The book features recipes inspired by Gail’s world travels — all made with accessible ingredients and smart, simple techniques for successful family meals and easy entertaining. Born and raised in Toronto, Gail moved to New York City in 1999 to attend culinary school at what is now the Institute of Culinary Education. She then trained in the kitchens of legendary Le Cirque 2000 and groundbreaking Vong restaurants and worked as the assistant to Vogue magazine’s esteemed food critic, Jeffrey Steingarten. Throughout her career, Gail has contributed to several cookbooks, including Steingarten’s It Must’ve Been Something I Ate, Chef Daniel Boulud: Cooking in New York City, and The New American Chef by Andrew Dornenburg and Karen Page. Gail’s first book, a memoir titled Talking With My Mouth Full, was published by Hyperion in February 2012. In 2014, Gail and her business partner Samantha Hanks founded Bumble Pie Productions, an original content company dedicated to discovering and promoting new female voices in the food and lifestyle space. Their first series, “Star Plates” — a collaboration with Drew Barrymore’s Flower Films and Authentic Entertainment — premiered in fall 2016 on Food Network. In addition to her work on Top Chef, Gail makes frequent television appearances on NBC’s Today, ABC’s Good Morning America, and The Chew, among others. She is regularly featured in such publications as New York magazine, Travel +Leisure, GQ, People, Entertainment Weekly, US Weekly, Los Angeles Times, and was named the No. 1 Reality TV Judge in America by the New York Post. Along with her annual appearance at the Food & Wine Classic in Aspen, she makes regular appearances at the nation’s foremost culinary festivals, including the Austin Food & Wine Festival and Charleston Wine & Food Festival. In February 2013, Gail was appointed Entrepreneur-in-Residence at Babson College, a mentoring role in which she works with student entrepreneurs, helping them develop food-related social enterprises. In April 2016, she received the Award of Excellence by Spoons Across America, a nonprofit organization dedicated to educating children about the benefits of healthy eating. She is an active board member and supporter of City Harvest, Hot Bread Kitchen, Common Threads, and the Institute of Culinary Education. Gail lives in New York City with her husband, Jeremy, and daughter, Dahlia Rae.